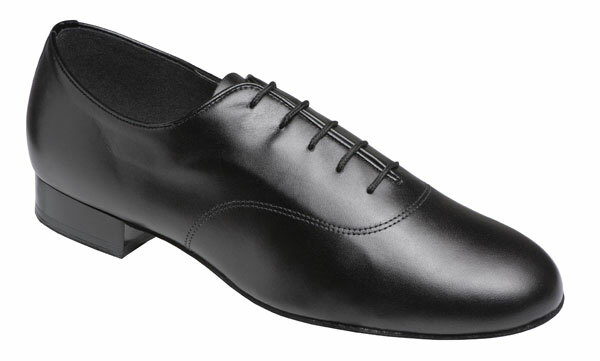 Mens Ballroom shoe in Black Patent or Black Leather. 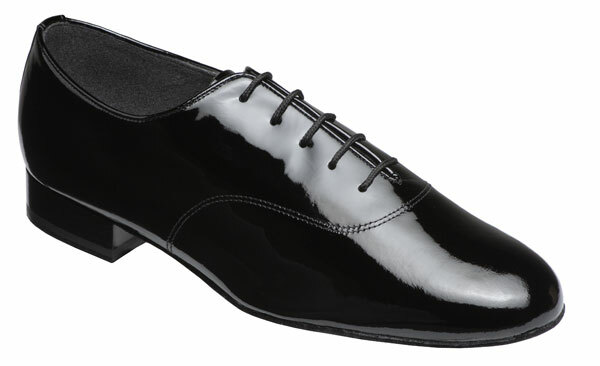 Regular and Wide Fittings - New Impact Absorbing Low Heel. Full Suede Sole. UK sizes 5 - 12 inc. half sizes. Extra Wide fittings can be made to order and take 4 weeks to manufacture.